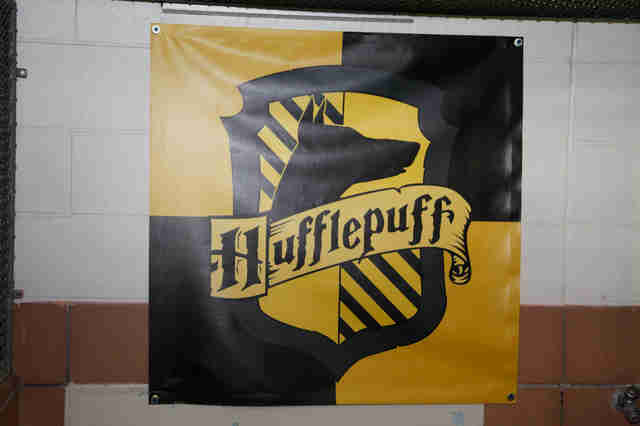 They sort them by personality — and there are lots and lots of Hufflepuffs. A shelter in Florida was noticing that a lot of people looking to adopt dogs were focusing on breed rather than personality. 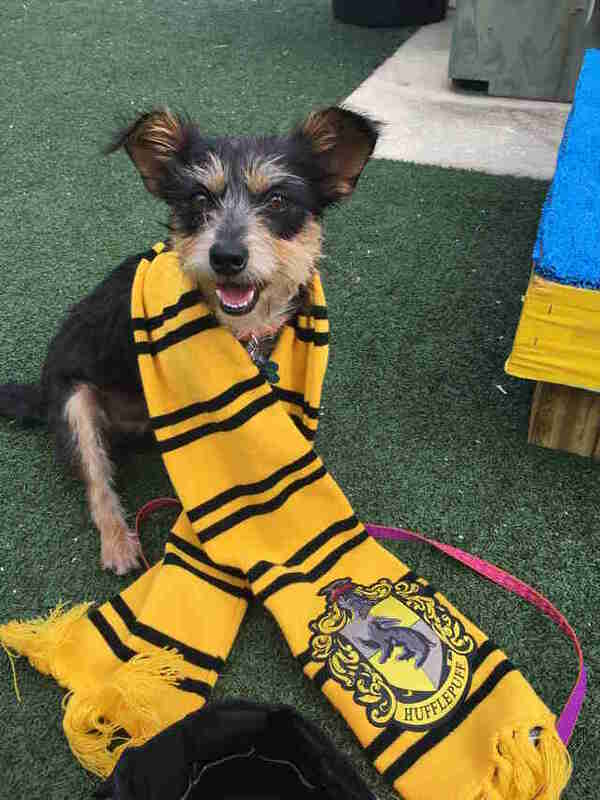 Wanting people to look at their dogs for who they really are, the shelter came up with a fun (and super nerdy) way to showcase their dogs’ personalities — using Harry Potter. 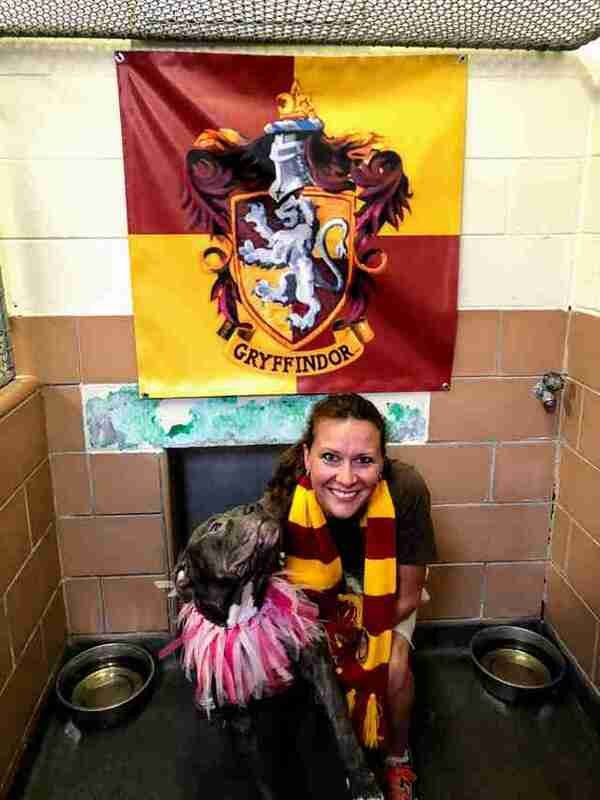 Stephen Bardy, executive director at Pet Alliance Orlando, was chatting with other staff members at the shelter about how to get people to focus less on breed and more on personality when they came up with the genius idea to start sorting dogs into Hogwarts houses. Each dog is sorted based on his personality, and the shelter actually has a very sophisticated system for figuring out which dog belongs in which house, just like the Sorting Hat. 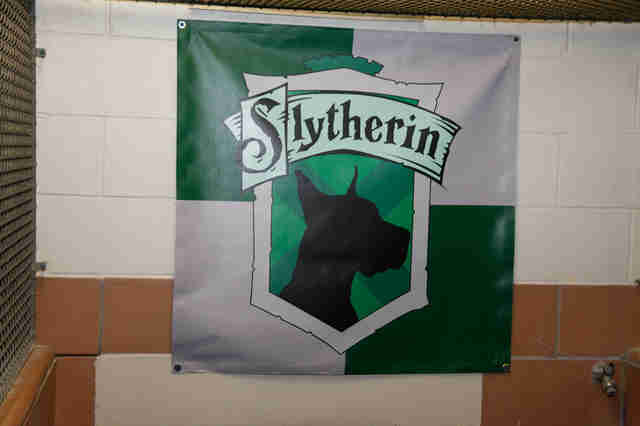 It’s universally known that Gryffindors are brave and heroic, Slytherins are determined and resourceful, Hufflepuffs are kind and loyal and Ravenclaws are intelligent and witty, and the shelter has worked hard to translate these characteristics into the traits of their dogs. 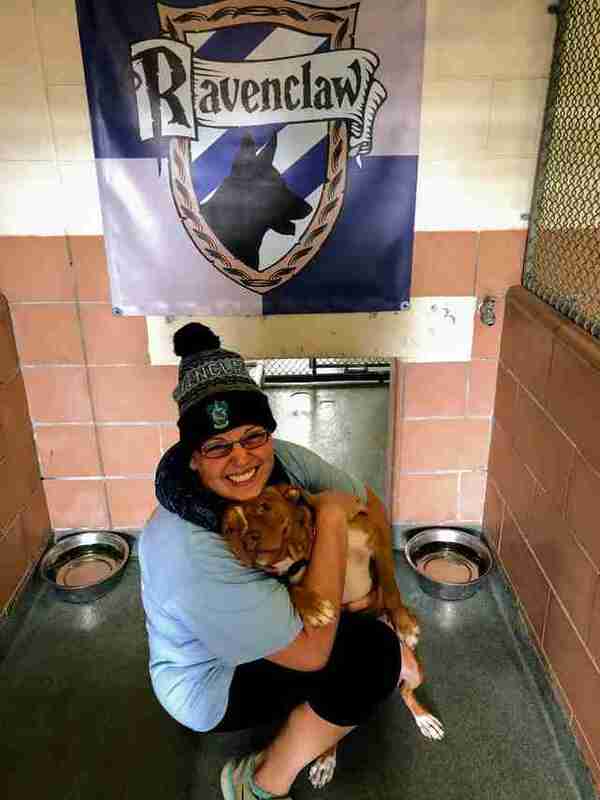 So far, the shelter has sorted over 40 dogs into the different Hogwarts houses. The most populated house as of now is Hufflepuff, and while Gryffindor and Slytherin are also well-represented, there haven’t been too many Ravenclaws as of yet. Not a lot of studious, hardworking dogs coming into the shelter, apparently. 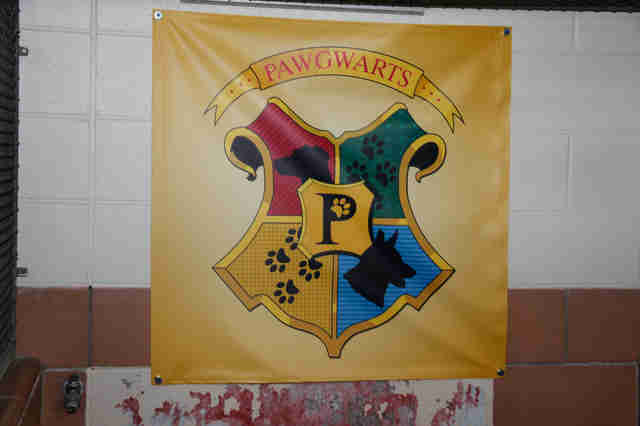 Once a dog is sorted into a house, he gets a special house banner for his kennel, so that every potential adopter walking by knows exactly which house he’s in. The shelter also created a fun quiz that current dog owners can take, to figure out which house their dog is in. The entire concept has been a huge success so far — and has actually helped a lot of dogs get adopted. 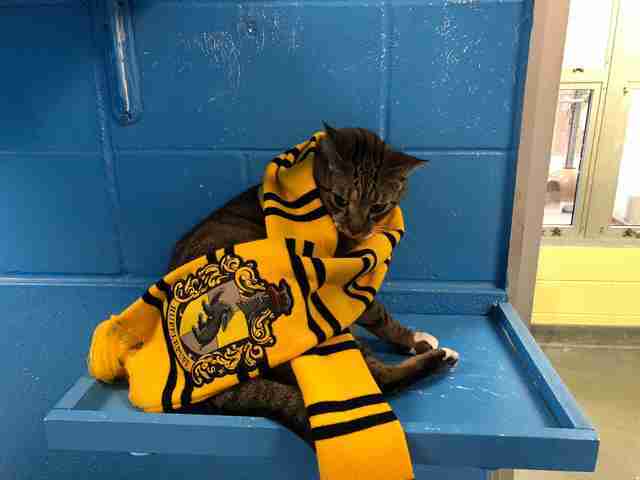 … as the cats don’t seem as interested in dressing up in Harry Potter-themed attire. 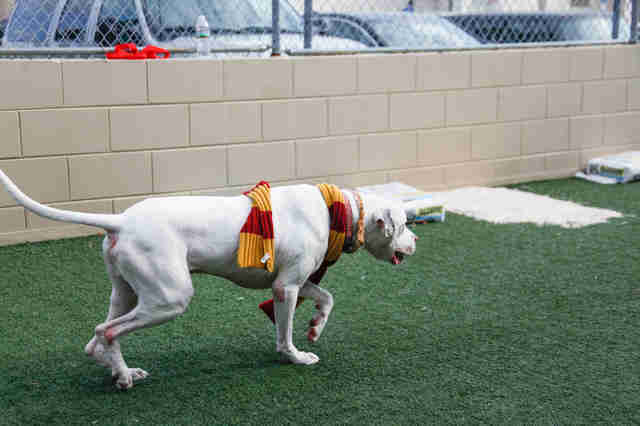 The shelter hopes to continue sorting each dog into a Hogwarts house as they come into the shelter, as it has proved a very effective way of getting dogs adopted — and is also just a ton of fun.